What can you buy with 100 yen? Something interesting that you may not realize about Japan is that it’s mainly what’s called a ‘cash economy.’ That means (perhaps you’ve guessed) that if you want to buy something, odds are good you need to buy it in cash. There are some exceptions – big chain stores, for instance, and some places marketing specifically to Americans accept plastic – but for the most part you have to carry cash to shop off base. Another thing you may not know is that the smallest bill available is 1,000 yen (about $10). Anything smaller than that is in change. As a result, we quickly found ourselves buried in a mountain of coins. 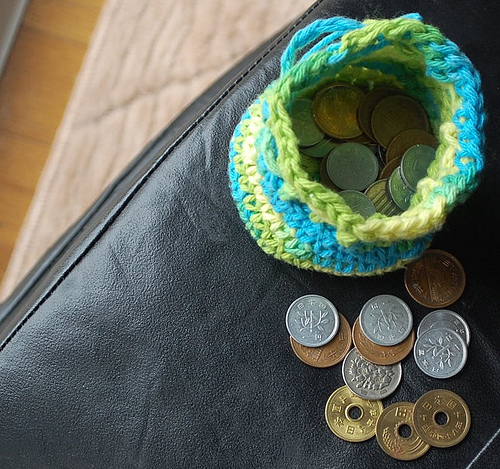 Being crafty, like I am, I made a pouch for them – wide in the mouth with a big, flat bottom for easy change-digging. Note: do not join rounds unless indicated. Rnd 12: Sl st. Ch 2, dc in same sc, dc in next st. [Ch 1, sk 1 st, dc in next st] around. (30 sts) Join. Rnd 13: Ch 1, sc in each dc and ch-sp around. (30 sts). Join, finish off and weave in ends. For drawstring, make a chain about 8″ long and weave through eyelets OR Ch 8, join in a ring w/ a sl st, ch about 12 inches and make a loop with the last 4″. Weave through eyelets, pass big loop through small loop, and pull to tighten. Their money’s pretty, isn’t it? The bills are multi-colored; at first we had a hard time remembering it was actually money. Sorry I don’t have any bills to show you, but yesterday I used my last 1000 on a trip to my favorite hyakuen (aka, 100-yen store). and some chocolaty snacks, of which only this photo of the empty bag remains. These things are so good. They taste like…Cheetos would taste, if they were not coated in radioactive orange artificial cheese powder, but were instead saturated with real chocolate. Bliss. There are several different brands that make a treat like this, but I’d recognize that puffy chocolate texture anywhere! I wish I had another bag of them right now, but sadly, they are gone. As am I. See you later! This entry was posted in Cultural Experiences, Finished, Patterns. Nice pouch! 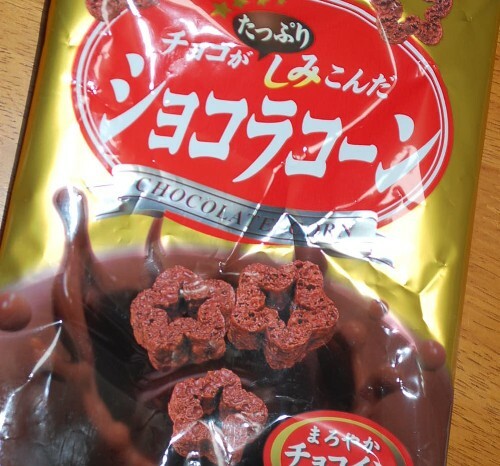 Chocolate cheetos….very interesting! 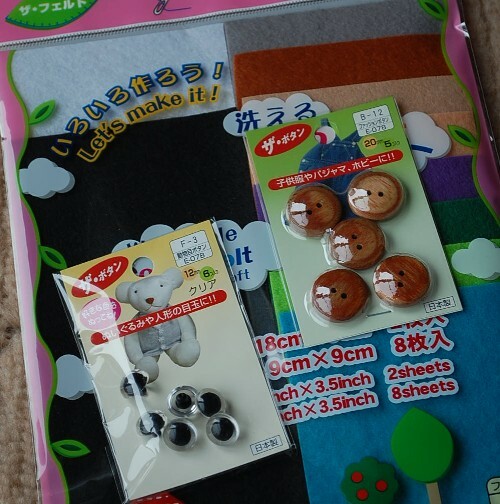 I’m glad to see that you’ve found Daiso–one of my favorite places on the planet! Oh I wish I had a bag of chocolate corn myself. That stuff is seriously addictive. hey there! i wanted to make one of these for a friend of mine, and i was just wondering, how big is it, exactly? Wow all the awesome stuff from Japan makes my mouth water lol. That is the one place I want to go visit out of all places in the world. I am trying to learn to speak, read, and write in Japanese too. I so love everything about that place. 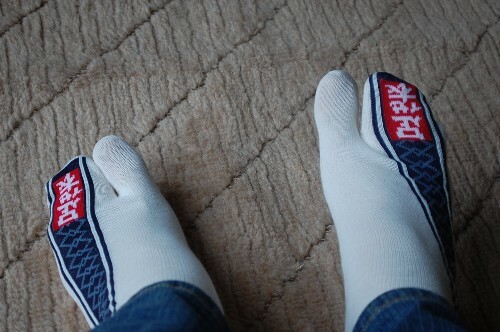 I love the socks, I want a pair too lol. That chocolate corn looks so scrumptious. Thanks so much for sharing the pattern for the pouch- I just made one and it turned out perfectly. I will be making tons of those! wow, I love to see how other people use/like Daiso or their products. 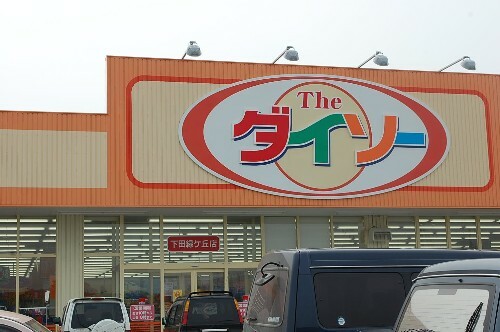 oh, I’m not from Daiso, but a Japanese who live outside Japan. I came from Ravelry and will try this cute porch for sure! 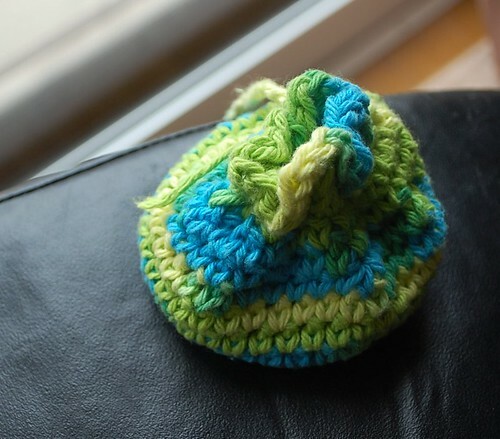 Heading to Tokyo in 3 days and making one of these for my son! Thanks! My wife and I are moving to Japan in two months and we are trying to find out what money life is going to be like. I think it’s funny that I google the value of the yen and I find your blog. What ward or branch do you attend? We will be in the Fussa Ward…. I think? I LOVED every single nanosecond I was stationed in Japan. I had a yen pouch I made, it was very handy. I lost count of the number of pouches I made for not only my shipmates, but for Japanese friends too. I had complete strangers ask me for one. LOL, I took to keeping 2 or 3 with me when I went out in town.